Are you unsure of which multiwall polycarbonate is the perfect solution for you? Are you uncertain of which fixings and flashings you'll need with your multiwall polycarbonate sheets? Speak to our team online via the live chat in the lower right hand corner or call 01295 565 565. They'll help you pick the perfect roofing sheets for your project and will ensure you have all the roofing materials you'll need for your project. Multiwall polycarbonate provides brilliant uncompromised durability and thermal insulation. This makes it ideal for conservatories, carports, greenhouses and lean to extensions. Our range of multiwall polycarbonate sheets includes twinwall, triplewall and sevenwall options in various colours. 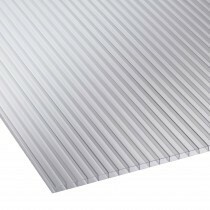 25mm (sevenwall) is one of the most popular multiwall polycarbonate sheets. It is an ideal choice for conservatories due to its incredible strength. Our 10mm (doublewall) and 16mm (triplewall) options are, on the other hand, often suitable for greenhouses and shelters. 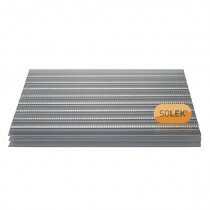 4mm polycarbonate sheets, however, are not recommended for roofing applications. Have Questions About Our Multiwall Polycarbonate? If you have questions about our multiwall polycarbonate, simply speak to our team via the live online chat or call 01295 565 565. We’ll help you select the perfect roofing materials for your project and make mega savings. With quick delivery across the UK on our multiwall polycarbonate sheets, they will be on your doorstep in a matter of days.